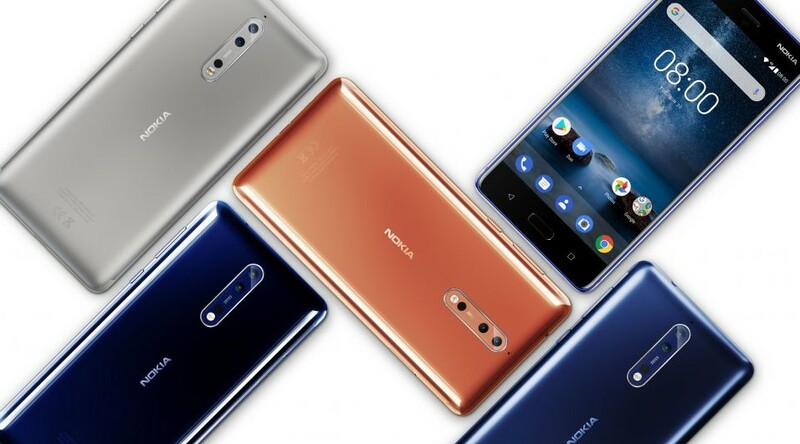 Nokia 8 has launched in London and the company also announced the specification and features of the new flagship. While the Nokia 8 key specs have already been leaked online and also there is no special thing in the new phone. Though, this new Nokia 8 flagship having the option that the users can use the front and rear camera at the same time. Also in this new feature it allows to stitch together one image, video and even we can shoot the live stream videos. This is named as ‘Bothie’ photos. So, the both rear and front camera had the feature of 13MP, in the rear that has one colour lens and one mono and all three have an f/2.0 aperture. Also, Nokia 8 is currently running with the help of Android N and it will be one of the first to receive Android O. This phone come up with the Qualcomm Snapdragon 835 processor along with the 5.3-inch Quad-HD (2560×1440 pixels) IPS display which consist with 700 nits brightness and Gorilla Glass 5. The phone is currently running under Android 7.1.1 Nougat with the capacity of 4GB of RAM. Users can use the 64GB internal storage with the microSD support up to 256GB external memory. About Camera: In the rear, it was designed with dual 13MP while one for colour, and other one for mono. Additionally, the Nokia 8 rear cameras works on f/2.0, 1.12um, OIS, Laser autofocus with dual-LED flash light. The front selfie camera also had the same 13MP and f/2.0. It was made with IP54 splashproof and carrying 3090mAh battery with Quick Charge. Considering the connectivities, the phone having 802.11a/b/g/n/ac Wi-Fi, Bluetooth 5.0, 3.5mm headphone jack, USB-C and NFC. Additionally, it had Fingerprint scanner. The size of the Nokia 8 is 151.5×73.7×7.9mm. This will be available in Polished Blue, Polished Copper, Tempered Blue and Steel.